On a site visit [to China’s World Financial Center, Xu Bing] was shocked by the primitive working conditions of the migrant laborers and inspired. The commission site...reminded him of a cage and he proposed...a pair of phoenixes—Feng, a male, and Huang, a female, each to be fashioned out of the salvage and architectural debris.... Xu Bing’s phoenix was to be complex and contemporary, a representation of 21st-century China in all its contradictions and raw energy. 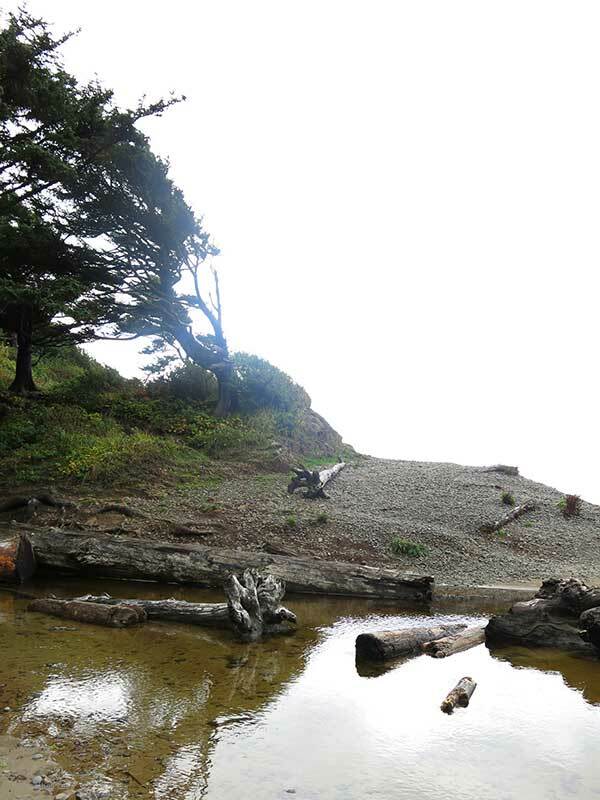 There are already some great photographs readily available of this installation, so I chose a few details to highlight here, as well as other great moments I enjoyed from the site itself. Did you get a chance to see the installation for yourself? What do you think? 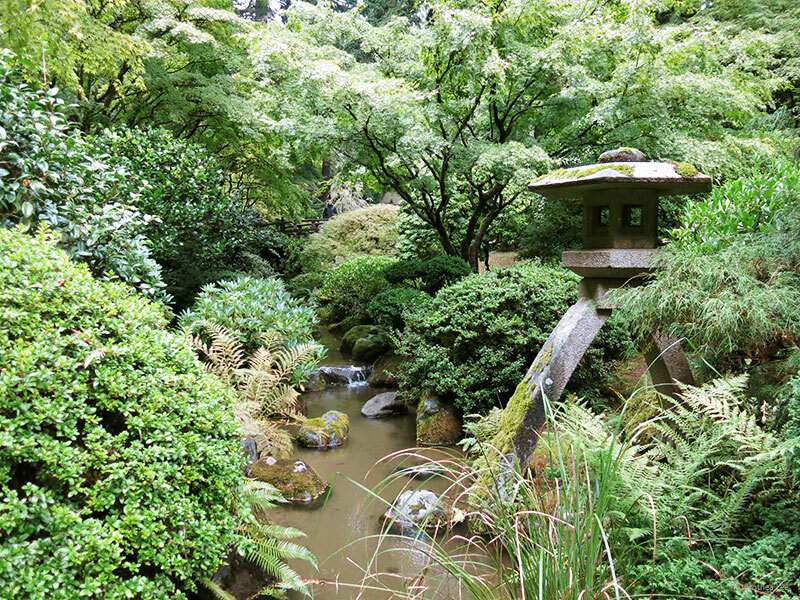 The Portland Japanese Garden has views to reward you with in every direction you turn. I love the dense and layered textures the greenery created here. Can you find the bridge with the man on it? I'm sure everyone takes a picture of this tree, but I couldn't resist. It really is beautifully formed! There was a 4" monster slug I saw and spared you from, and instead you must suffer this ridiculously tiny baby slug. Just a carpet of neon algae at Canon Beach. I feel like half of the desktop wallpapers must have been shot here, I couldn't seem to avoid a photo that didn't look like one! 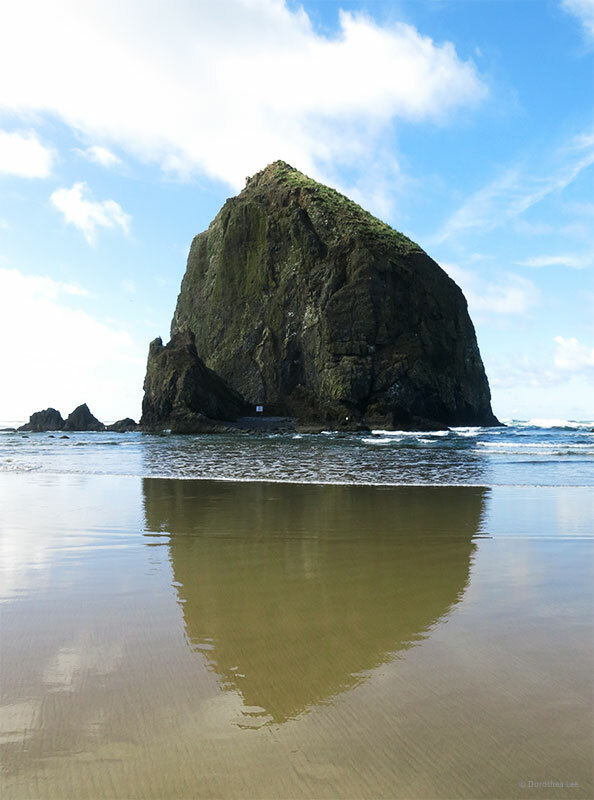 My two biggest regrets were not getting to Haystack Rock before the tide came in, and breaking my foot hiking near Mt. Hood on the very first day. Not pictured here: the best flan I've ever had in my life, and the beauty of St. Johns Bridge in Cathedral Park. I wish all infrastructure was built with that level of attention to detail! My pictures simply did not do the structure justice. *Title is a song by The Smiths, who I belatedly discovered due to my airbnb stay while visiting OR. I've always been fascinated by light and shadow, and can't stop thinking about how its changes direct your eye through the image. These recent rainy days remind me of my time in Portland OR, where a lot of houses seemed to be boldly painted in defiance of the grey skies. I would have loved to do color studies there if I had more time! Still, I think I work best in sunshine.